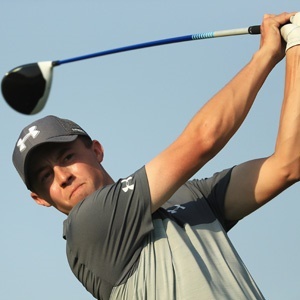 Dubai - Matthew Fitzpatrick believes his game is trending in the right direction as he prepares to launch the defence of his DP World Tour Championship title in Dubai. The Englishman has been in sparkling form since claiming his fourth European Tour title at the European Masters in September, finishing inside the top 20 in each of his last seven events. "My game's trending nicely, I feel. Over the last eight or nine weeks I've been playing really solid and it would be nice to peak again this week, actually. Hopefully that's going to be the case," said Fitzpatrick. With the focus firmly on the battle between long-time leader Tommy Fleetwood, Justin Rose and Sergio Garcia for the Race to Dubai title this week, Fitzpatrick is hoping to slip under the radar as he looks to successfully defend his crown. "Obviously the main focus is on Tommy, Justin and Sergio trying to win the Race to Dubai," said the 23-year-old. "That will take the main focus, there's no doubt about that and it would be nice to sort of probably come in under the radar and I feel like I'm playing quite nicely, so you never know." The world No 31 has happy memories of last year's event, when he holed a nerve-shredding putt at the 18th to finish one shot clear of countryman Tyrrell Hatton. "It's great to be back, to see it all and where it all finished last year on 18. It is one of the Pro-Ams I most looking forward to, just to bring back memories and think about the shots we hit over the four rounds here. It could be an exciting week," said Fitzpatrick. The DP World Tour Championship gets underway on Thursday at the Jumeirah Golf Estate.